Raising your family in a safe and healthy environment is hard work. Parenting children at all ages can be a challenge. 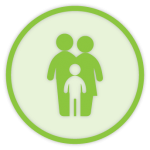 Here are some resources to help you keep your family together, strong, and healthy. Childhelp® runs a national 24-hour hotline for parents who need help or parenting advice (1.800.4.A.CHILD).